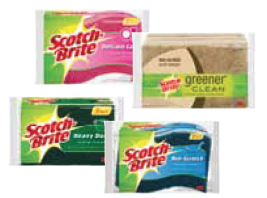 There is a new Scotch Brite Coupon available. The coupon is for $1 off any Scotch Sponge 3 pack. You will need to sign up for the Scotch Brite Brite Ideas eNewsletter. The coupon will arrive in your inbox. Note that this is a PDF coupon.